This month's Paper Pumpkin is a very versatile one! The stamps can be used to make a card for anyone! 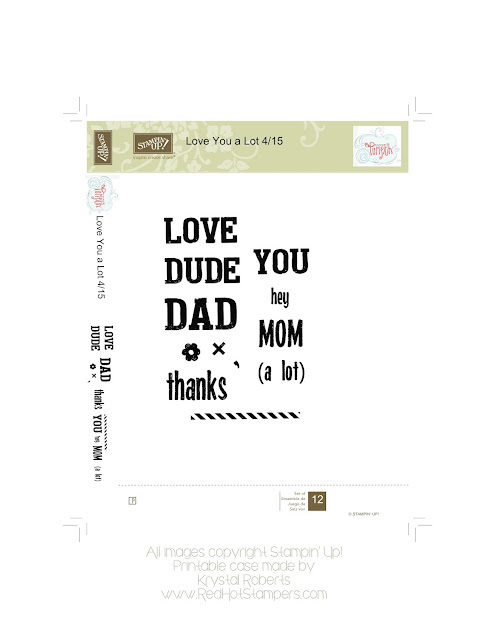 Thank you, Mother's Day, Father's Day, or just to say "hey!" 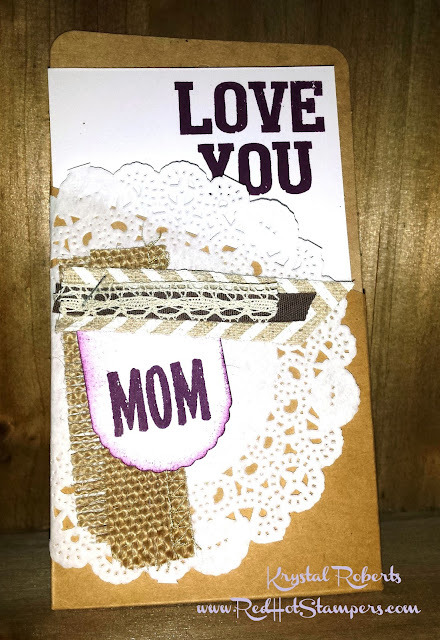 I started by making a couple cards for my Mom. This first card is just a fun little play on the word Mom, turning it upside down to say WOW. She's always doing awesome things, so I'll save it for one of those "everyday" occasions. This next card is a little fancier just by adding a paper doily, and some ribbon. I also swapped out the colors that came in the box for Blackberry Bliss. I'll probably use this one for Mother's Day. It would also be nice for a birthday. And now, for what I'm assuming most of you are waiting for! This month's stamp case insert! I have had several of you asking if I'll continue to do this, and if I'll go back and do the past sets. The answer is YES!!! I absolutely love Paper Pumpkin and how easy and versatile it is! 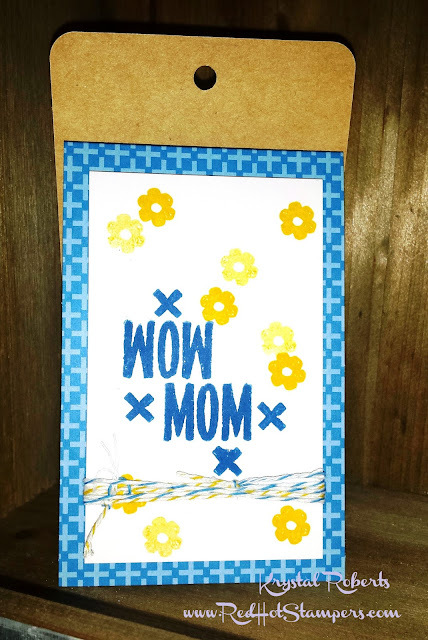 It's a great value and a GREAT way to get started stamping! If you haven't signed up yet, sign up today! For only $19.95 a month you get all the stamps, ink and paper to make several fun projects! Use this stamp case insert with the clear cases to keep all your stamps together and organized! Let me know if you have any questions with printing, sizing, quality, etc. I'm happy to help! Thanks for stopping by!